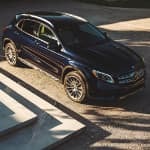 The compact size of the 2019 Mercedes-Benz GLA SUV makes it a versatile option for your daily drive. From the precise handling to the handcrafted interior, you’ll appreciate all this compact SUV has to offer. But are you undecided when it comes to which 2019 Mercedes-Benz GLA trim level is right for your daily drive? 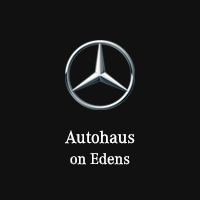 The following trim level comparison has been created by the team at Autohaus on Edens in Northbrook, IL for your convenience. If you have additional questions for a product specialist at our Mercedes-Benz dealership, contact us directly by calling (847) 272-7900. Equipped with the necessary features to accommodate your daily routine, such as a spacious cabin, a powerful engine, and comfortable seating, the 2019 Mercedes-Benz GLA 250 is the perfect choice for nearly any driver. 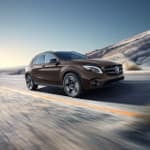 The 2019 Mercedes-Benz GLA 250 4MATIC®️ includes all of the standard features on the 2019 GLA 250, but adds the 4MATIC®️ all-wheel drive system for extra traction and improved handling. 0-60 MPH in 7.1 sec. 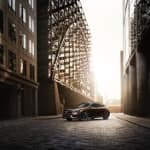 Performance-centered and packed with all the luxury features you expect from a Mercedes-Benz, the 2019 AMG®️ GLA 45 provides unparalleled power and modern amenities. Drivers looking for the best of both worlds will appreciate what this model has to offer.